Kansas Gov. Sam Brownback answers questions in July about his policy regarding the new federal health care law. During his campaign for the governor's office last year, he said: "What we'll do in Kansas is we'll do what we're required to do, but we're gonna fight it all the way." Kansas has since joined the major lawsuit challenging the constitutionality of the law. And in August, Brownback sent back a $31.5 million federal grant. That money was meant to start modernizing computer systems, including the one-stop website called the Kansas Health Insurance Exchange. This online marketplace would allow people to compare and sign up for individual and small group health insurance. "And they don't want to do anything that looks like Kansas is moving down a path of implementing, because they think that diminishes the effectiveness of being a part of the lawsuit," she says. "And I understand that. I mean, they are very committed to repealing Obamacare." In conservative Kansas, that may be smart politics, but Praeger worries that it's not sound policy. If the law is fully implemented in 2014, every state will be required to have an insurance exchange. States that don't establish their own would have to turn to the federal government. "How do you quantify the cost of individuals not being able to purchase from the plans they want to purchase from because the plan management is taken away from the state, and is directed at the federal level?" she says. Insurers are still hoping for a state-based exchange. "We are too busy running our business in a very difficult environment, an environment of uncertainty, to worry about the political wrangling," says Matt All, the top lawyer for Blue Cross and Blue Shield, which is Kansas' largest health insurer. "We are solely focused on getting ready for whatever the marketplace is gonna be in 2014, whenever the exchange is supposed to open up." All insists that the company will participate no matter who runs the insurance exchange, but he says he wishes he knew the rules the company will have to comply with. "We don't know enough yet to be fully ready," he says. "There are just a few proposed regulations out." The timing is tricky. Praeger says lawmakers and the governor have indicated they don't want to do anything to establish an exchange before the Supreme Court rules on the constitutionality question. And that won't come before June, at the earliest. Kansas' 2012 legislative session will have ended by then. "Well, if we don't get legislation passed next year and signed by the governor, we won't have a state exchange, because we won't be able to certify in January of 2013 that we'll be ready," she says. Praeger is continuing on with her behind-the-scenes planning. She says if Kansas doesn't have its own exchange, the state could still retain at least some control by partnering with the federal government. But that, too, would require the governor and state lawmakers to cooperate, which doesn't seem likely in the current political environment. This story is part of a reporting partnership that includes Kansas Public Radio, NPR and Kaiser Health News. Copyright 2013 Kansas Public Radio. To see more, visit http://kpr.ku.edu. We're going to hear now about health care in America and the raging insurance debate - who gets it and who pays for it. In a moment, the nation's largest private employer cuts health care coverage for new part-time workers. But first, to Kansas. A few months ago, the state seemed ahead of the game in preparing for a key requirement of the federal health law. It had started planning for exchanges, those are the online marketplaces meant to help individuals and small businesses buy health insurance. But politics has intervened, as Kansas Public Radio's Bryan Thompson reports. 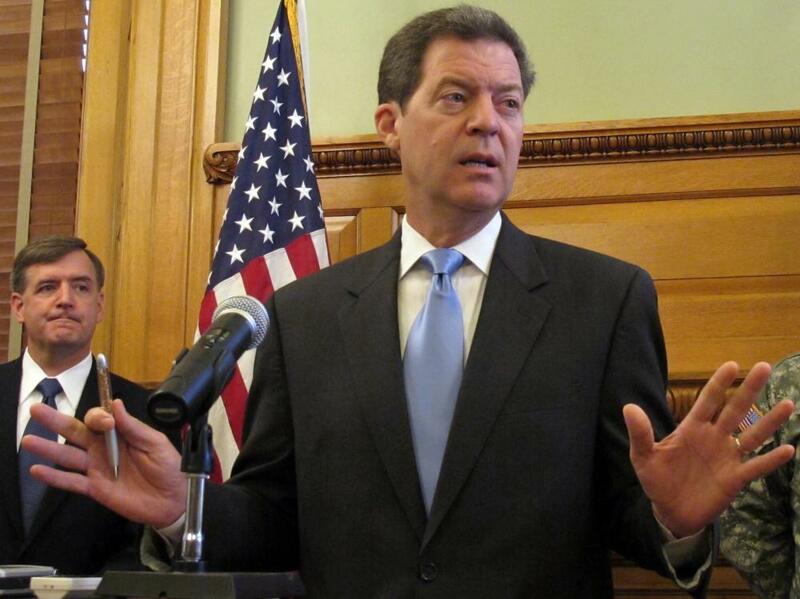 BRYAN THOMPSON, BYLINE: Kansas Governor Sam Brownback never liked the Affordable Care Act. GOVERNOR SAM BROWNBACK: Obamacare, this is an abomination. THOMPSON: As a U.S. senator, he voted against it. And during his campaign for the governor's office last year, he made a vow. BROWNBACK: What we'll do in Kansas is we'll do what we're required to do, but we're going to fight it all the way. THOMPSON: Kansas has since joined the major lawsuit challenging the constitutionality of the law. And in August, Brownback sent back a $31.5 million federal grant. That money was meant to start modernizing computer systems, including the one-stop website called the Kansas Health Insurance Exchange. This online marketplace would allow people to compare and sign up for individual and small group health insurance. Brownback's move put Insurance Commissioner Sandy Praeger in a bit of a bind. Praeger, who is a moderate Republican, was in charge of administering the grant. She says the governor is betting that the new health law will be repealed. SANDY PRAEGER: And they don't want to do anything that looks like Kansas is moving down a path of implementing, because they think that diminishes the effectiveness of being a part of the lawsuit. And I understand that. I mean, they're very committed to repealing Obamacare. THOMPSON: In conservative Kansas, that may be smart politics, but Praeger worries that it's not sound policy. If the law is fully implemented in 2014, every state will be required to have an insurance exchange. States that don't establish their own would have to turn to the federal government. PRAEGER: How do you quantify the cost of individuals not being able to purchase from the plans they want to purchase from, because the plan management is taken away from the state and is directed at the federal level? THOMPSON: Insurers are still hoping for a state-based exchange. Matt All is the top lawyer for the largest in the state, Blue Cross and Blue Shield of Kansas. MATT ALL: We are too busy running our business in a very difficult environment, an environment of uncertainty, to worry about the political wrangling. We are solely focused on getting ready for whatever the marketplace is going to be in 2014, when the exchange is supposed to open up. THOMPSON: All insists that the company will participate no matter who runs the insurance exchange, but he wishes he knew the rules the company will have to comply with. ALL: We don't know enough yet to be fully ready. There are just a few proposed regulations out. THOMPSON: The timing is tricky. Insurance Commissioner Praeger says lawmakers and the governor have indicated they don't want to do anything to establish an exchange before the Supreme Court rules on the constitutionality question. And that won't come before June, at the earliest. Kansas's 2012 legislative session will have ended by then. PRAEGER: Well, if we don't get legislation passed next year and signed by the governor, we won't have a state exchange, because we won't be able to certify in January of 2013 that we'll be ready. THOMPSON: Praeger is continuing on with her behind-the-scenes planning. She says if Kansas doesn't have its own exchange, the state could still retain at least some control by partnering with the federal government. But that, too, would require the governor and state lawmakers to cooperate, which doesn't seem likely in the current political environment. For NPR News, I'm Bryan Thompson in Salina, Kansas. RAZ: And that story is part of a project on health care in the state, a partnership of Kansas Public Radio, NPR and Kaiser Health News. Transcript provided by NPR, Copyright NPR.